Q. 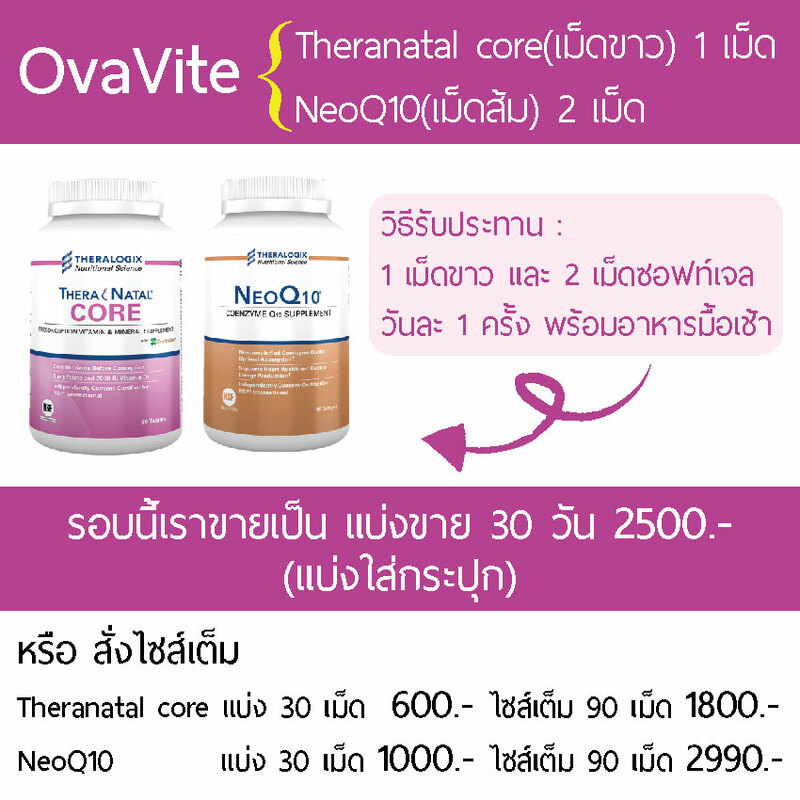 How is TheraNatal Core different from other prenatal supplements? 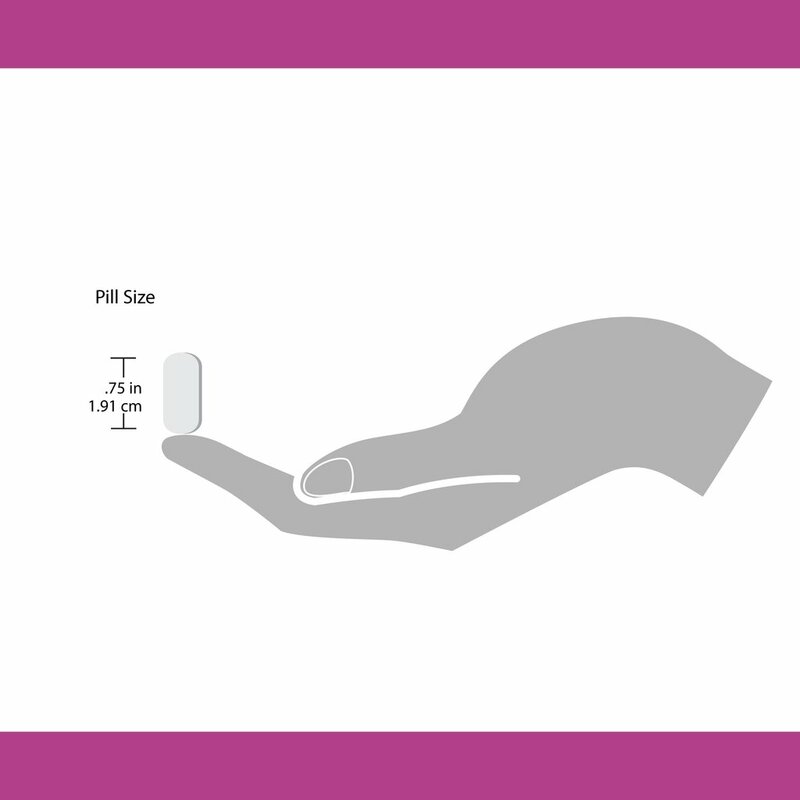 TheraNatal Core is a daily preconception prenatal for any woman trying to conceive. 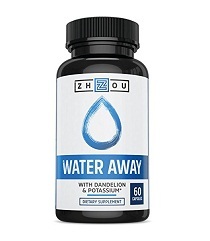 * It is designed specifically to prepare your body for pregnancy, with 1,000 mcg (1 mg) of folate, 2,000 IU of vitamin D3, 100 mg of choline, 220 mcg of iodine, and other fertility focused ingredients. Q. 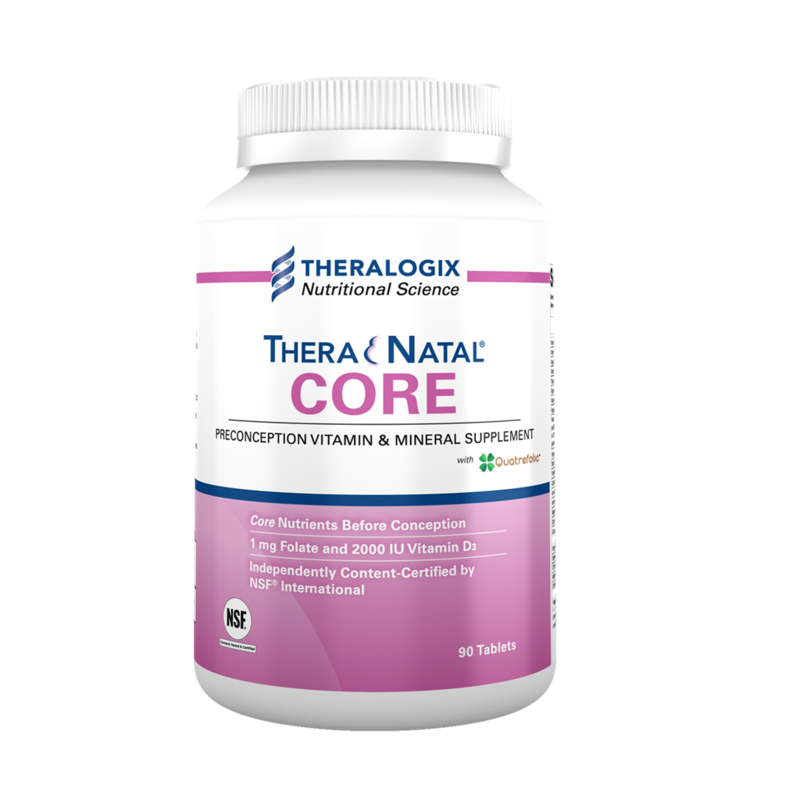 Should I continue taking TheraNatal Core once I find out I'm pregnant? Yes. 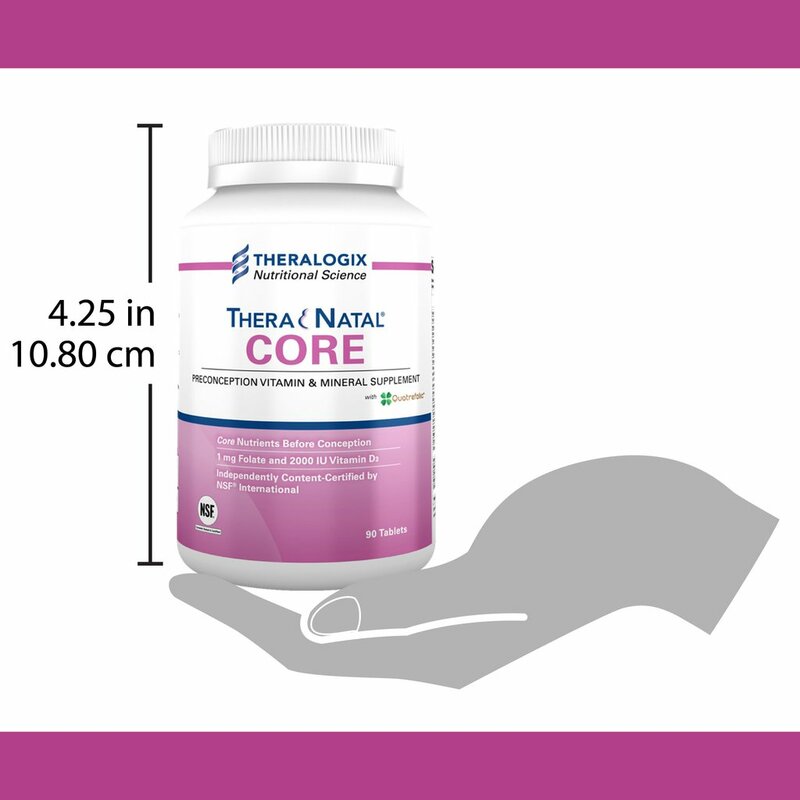 TheraNatal Core supports your nutrient needs while you are trying to conceive and during early pregnancy (through your first trimester). Before beginning your second trimester, it is best to switch to a prenatal vitamin designed for pregnancy, like TheraNatal One or TheraNatal Complete. Q. What is the difference between TheraNatal Core and TheraNatal OvaVite? Q. 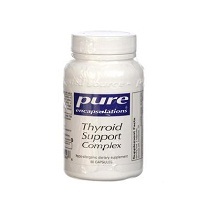 Can I take other nutritional supplements along with TheraNatal Core? Yes. 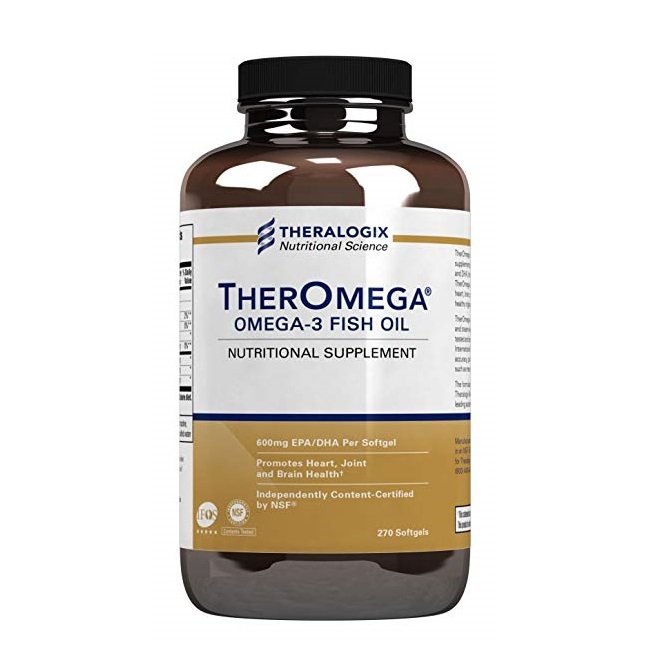 Certain other supplements can be taken along with TheraNatal Core (like omega-3 fish oil or other single-nutrient fertility supplements such as DHEA, inositol, and others). 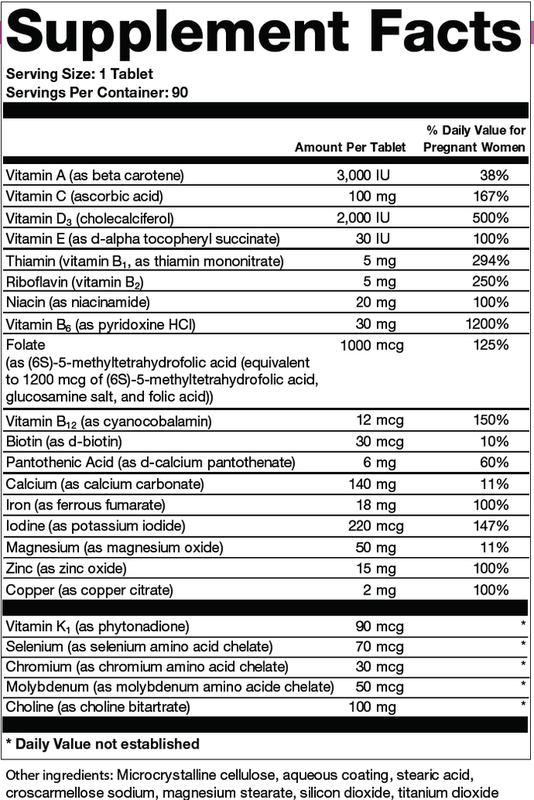 However, do not take any type of multivitamin or other prenatal while taking TheraNatal Core. Q: Can I take TheraNatal Core if I'm allergic to shellfish? Yes. There is no shellfish in TheraNatal Core. If you have reacted to radiocontrast material or antiseptics which contain iodine, you may still be able to safely take TheraNatal Core even though it contains iodine. These reactions are commonly confused with sensitivity to iodine or shellfish, though studies have shown that they are not related. Q. 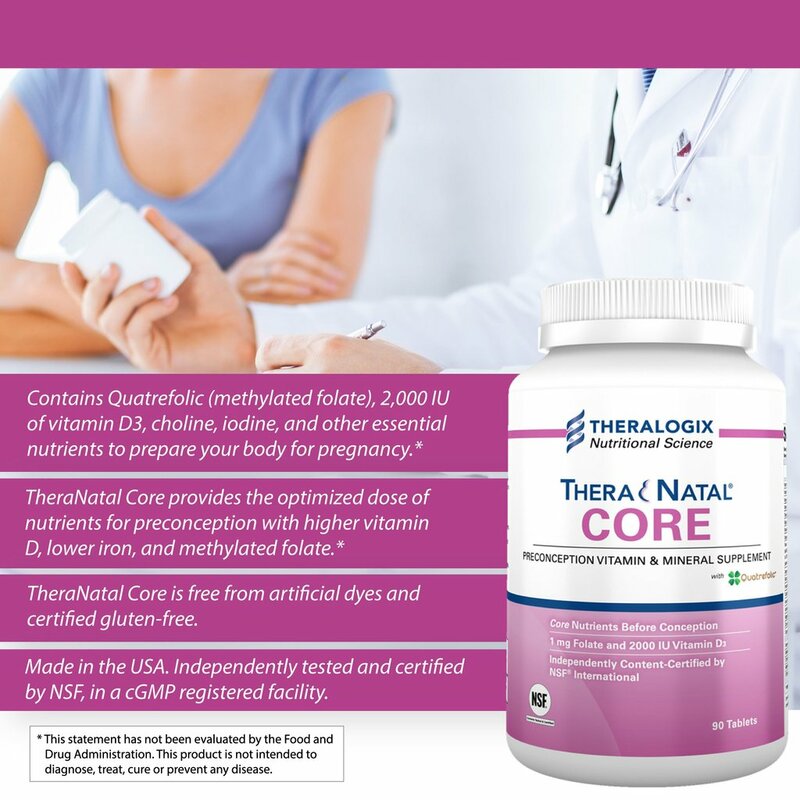 Does TheraNatal Core interact with any prescription medications or other supplements? Yes. 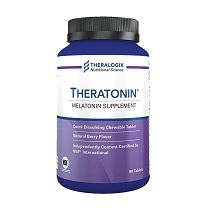 TheraNatal Core may affect the absorption of certain prescription medications. Do not take TheraNatal Core with other multivitamins or prenatal vitamins. If you take a single-nutrient supplement (such as calcium), check your total intake from all supplements, including TheraNatal Core, to ensure you do not take more than the safe upper limit of the nutrient.